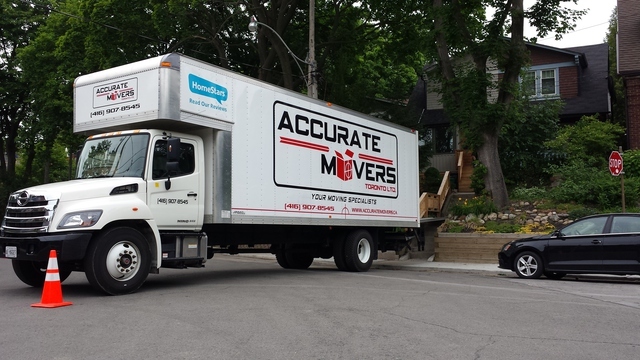 Reviews for Accurate Movers Toronto Ltd. I was looking to find a moving company to transport my sister from a small townhome complex in Toronto to a detached home in Oshawa. As usual I enlisted a quote from the Big firms, which included Two Men and a Truck. For some reason these firms felt the need to state they needed 2 trucks and 4 individuals for the move and were extremely high with their cost. Accurate recommended the move would only take 1 truck and 3 movers, their price was extremely reasonable. They should up earlier than expected and worked around clock non stop, they were very professional and handled all items with care. Went above and beyond what was expected of them and quite frankly, I wished I had heard of them when I needed movers in prior years for myself, rather than using the aforementioned Two Men and a Truck. If you want a fair price and the best possible moving services, I encourage you to use Accurate Movers, great job Andrej, Tony and Mcaden. Third time using Accurate Movers!! This is our third time using Accurate Movers. Kevin and TJ did an excellent job moving our items to our new space. They were professional, courteous and made our move stress free. Kevin really went the extra mile and even stayed to help us assemble our very complicated bed frame. They carefully covered all our furniture with blankets, shrink-wrapped some furniture, and provided a brand new mattress bag for our bed. They also provided wardrobe boxes which helped tremendously and made things just that much easier. 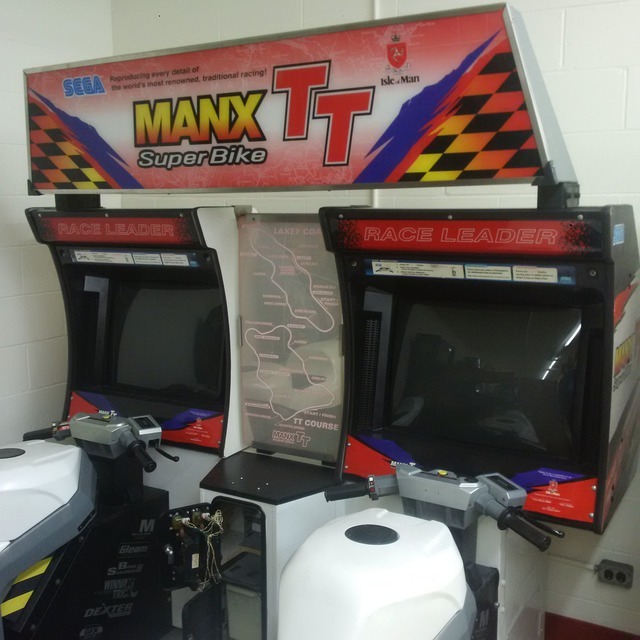 We are so happy with this company and will continue to use them in the future. 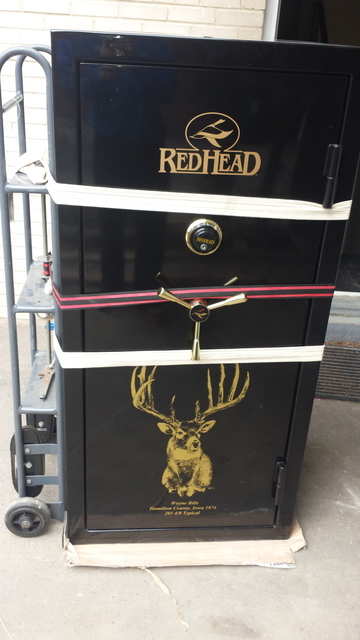 Hi Elisa, Thanks for the support and your continued business with us. We certainly appreciate it and your kind words are the reason why we go the extra mile. We look forward to working with you again in the future. To start with, my partner was completely opposed to moving. He said he would if I found the perfect spot and not feel the move, he would, but wanted nothing to do with it . Well after several estimates, I trusted Ray to hire the right crew. These men arrived on time, equipped with everything they moved and packed in one day, they were terrific, beyond ! Hi Noni, It was quite a task to complete but we are glad we were able to complete a full pack and move for you in one day. We know that your were in a tight situation and we are glad we were able to help. We look forward to working with you again in the future. We were moving from a 4 bedroom 4 bath home in Mississauga to Hamilton. Ray arrived on time to give us an initial quote, and came back closer to the actual move date and revised the quote lower as we had moved most of the small stuff ourselves. On the actual moving date, Bill, Alex, Theo arrived right on time, and began to work. They laid out long rubberized mats to protect the floors and stairs, and QUICKLY wrapped our furniture in thick blankets and hustled everything out to the truck. We were amazed at how quickly they did this, and stacked and secured everything. 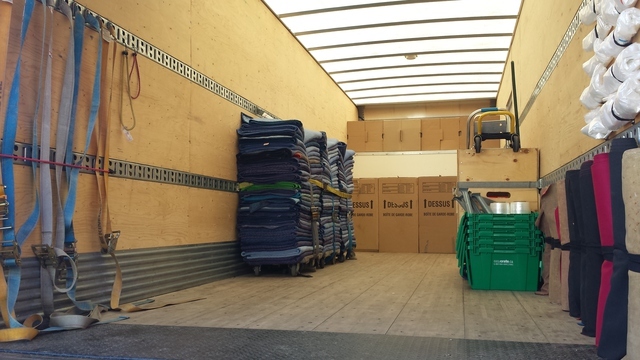 They made the requested stop to pick up items out of storage, got to Hamilton, and again laid out the rubberized mats and started unloading the truck. They took everything to the requested rooms, even moved some furniture in the new house. Having finished at our new house, they made a scheduled drop-off at our son's house in Burlington, before heading home. We give Ray, Bill, Alex, Theo the highest possible rating for the amazing job they did. Not a single item was damaged, nor were any of the walls and floors at all three homes. Everyone worked extremely hard as true professionals, and I can't say enough good things about them. A big house move does NOT get any better than what these guys did for us, and any future moves by our family members will be done through Accurate Movers. Hi George, thank you very much for the kind words. Thank you for entrusting us with your move and glad to hear everything went extremely well. We look forward to working with you again in the future. My husband and I are absolutely appalled by the professionalism of Andrey. He spoke down to my husband and promised us one thing when we complained and after we paid our bill, he changed his tune. 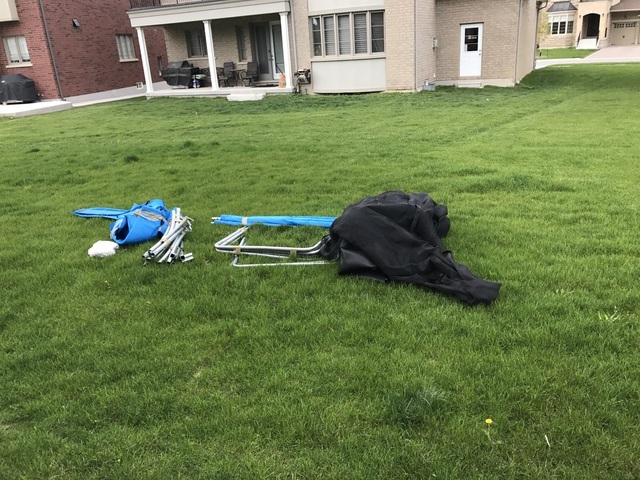 They dissembled our kids trampoline and basketball net and did not reassemble them. I'm just adding to this review. After our horrible experience with this company Ray from accurate movers has really tried to rectify what transpired while he was away. Since then he has stayed in contact with us and has fixed all damages caused. He also had our home cleaned :) I just want to thank you Ray for your great customer service. supposed to do this as promised and quoted for in our estimate and did not. severely damaged that pieces of wood broke off. They also forgot to pack my baby's bottles and bibs as well as under our kitchen sink. See photo. I would never recommend this company to anyone. I cannot believe they are still around. Absolutely disgusted!!!! We are very sorry to hear you had a bad experience working with our company. We always do our best to ensure we provide the best service we possibly can. As much as we want to satisfy every single client we encounter, sometimes it doesn’t always work out that way as personalities may clash from time to time. And in doing so, actual events may become skewed as emotions tend to dictate what gets written. We always conduct ourselves in a professional manner and we do admit Andrey’s actions may not have been ideal but we feel his and the rest of our staff’s reaction and composure when dealing with your husband was well mannered. The crew performed their jobs as they do for any other move. They worked through the day trying to ignore belittling comments and still got though it with their spirits intact. As you can imagine, it is difficult to hear negative comments about yourself while on the job. I understand you booked our services because of our reviews and that still stands true but unfortunately you and your family seem to hold yourselves above everyone else. We wish the experience was positive and the move went without a hitch but this is not the case. Although items were damaged (crib and a picture frame), we ensured they were all repaired or replaced. The damage in the photo of leather couch you posted was unfortunately already there and was not due to our staff’s negligence. If you inspect the photo closely, you can see that the hole has been patched up before and it seems like the patch fell off. This of course is an item you never brought up to us with the rest of the damages that needed addressing but you still left it as part of the post on your review. Although some items were not re-assembled on the actual move date, we came back and completed the re-assembly a few days after which we had every intention of doing. Unfortunately it was a long day on the scheduled move day and there is not enough hours in the day nor do the crew have the stamina to work the hours expected as there are limits to the human body. However, in lieu of all that, we completed a full pack, move, and unpack with only 2 damaged items. This was quite a feat considering it was a 5 bedroom 4000 sq ft home with high end furniture. In regards to the logistics of the move, we had agreed on packing contents into boxes as well as prepare some of the furniture by wrapping them in moving blankets on day 1 so that the workload on the move day which was day 2 would be less. However, you had asked our crew on day 1 not to pack certain rooms and not prep some furniture as you mentioned you still needed them. This of course throws off the entire project and creates a domino effect causing longer hours on day 2 since we now have to do the work planned to be completed on day 1. In the end, after completing the move and only going over the estimate by 10% which was due to the last minute changes requested by you, we still went above and beyond to rectify every issue and concern. However, it seems like all of our efforts seem to only amount to a 3/10 as a rating. We have never responded to a review with such transparency before, however when our reputation is on the line, we need to speak up sometimes as some clients do not realize the gravity and damaging consequences their subjective opinions has on the future of a company. In lieu of all this, we do appreciate the business you have given us and wish things ended up more positively. We wish you and your family all the best! we had to help my sister who has recently gone through a bad break up. everything was happening last minute and we were kind of running out of options. Accurate Movers were very prompt and professional, they were willing to work with our crazy schedule and the truck with 2 guys came the following morning right on time and the guys even brought us coffee. I am truly grateful to your company, thank you Accurate. We are happy to be able to help your sister out in such short notice and in such a stressful situation. Thank you very much for the review and we look forward to working with you again in the future. Fantastic service, they have a solid team. They were careful, fast, on time, well organized, great communicators and I felt in great hands with them. Strongly recommending them. They are the best movers I`ve ever used. Thank you very much for considering us as the best movers you've ever used and thanks for the recommendation. If you ever need to move back to Toronto from Montreal, or anywhere else in Canada for that matter, please feel free to contact us again and we will be more than happy to help! The men were nice, they came in and did what needed to be done. Ray is very nice and also very professional, because of his professionalism, I would highly recommend Accurate Movers again in the near future. Thanks again for booking your move with us and for your recommendation. We look forward to working with you again in the future! 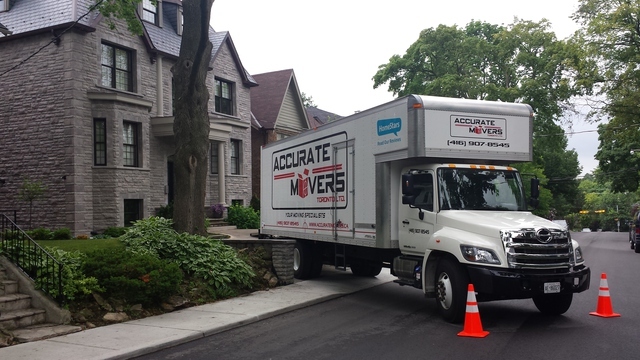 More about Accurate Movers Toronto Ltd.
We have built our reputation serving Ontario for over 15 years! proud of what we do and continue bringing the best Canada moving industry can offer! 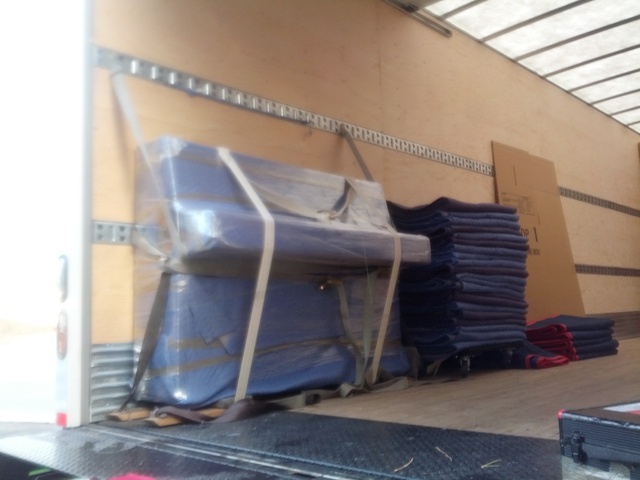 Moving, packing, assembly, piano movers, cleaning, restoration, wrapping furniture, long distance moving. Houses, Apartments, Businesses, Corporations,Pianos, File cabinets.